National agreement on data collection is an admirable goal. So too is around 6 months exclusive breastfeeding, with continued breastfeeding into the second year of life or beyond, as WHO has proposed. Definitions of complete, exclusive, and continued breastfeeding will be critical to monitoring progress and facilitating quality research. Given what we now know about the importance of pioneer microbes in colonising the gut, and breastfeeding’s role in programming longterm health, the most difficult part of this data collection process may well be monitoring and recording feeding detail in the hospitals where most Australian infants are born. Experience and enquiry suggests that it is still relatively common for otherwise fully/solely/completely breastfed infants to be given small quantities or a few feeds of infant formula, or for bovine milk based products to be used to ‘fortify’/adulterate breastmilk, with known and persistent negative effects on gut colonisation. And it is not uncommon for such exposures to be thought insignificant and sometimes not even be recorded. No child still completely/solely/fully breastfed at any time stage after birth can be classified as exclusively breastfed at that stage if he or she has been exposed to any infant formula in the early days of life. Yet many studies define the presently-fully-breastfed as exclusively breastfed, and take no notice of colostrum given to presently-fully-formula-fed infants. This Australian database will be cited by researchers. Many studies are biassed towards a null effect outcome by a lack of detail in early infant feeding records. In some studies, infants given some colostrum and early breastfeeds are weaned by a few weeks and classified as formula fed from birth, while infants fully breastfed after discharge but given formula in hospital are considered exclusively breastfed. These groups are neither exclusively formula fed nor exclusively breastfed. Researchers such as Professors Megan Azad and WA Walker are talking more than ever about the importance of truly exclusive breastfeeding in the early days of life. Changing hospital practices will require a substantial national effort and a broad re-education process. But without that effort any data collected will not be of the truly exclusively breastfed. And too few people read carefully to see how “exclusively breastfed” is defined before evaluating and citing research. SO WHAT COULD A NATIONAL BREASTFEEDING STRATEGY BE AND DO? substitute or artificial feeding as culturally necessary for historical and structural (and occasionally biological) reasons, but inherently risky and harmful, based on inappropriate food, and needing to be re-framed as a last resort, rather than as the normal default method of feeding . And any National Infant and Young Child Feeding Strategy needs to be as courageous as any other public health strategy in recognising, naming and combating vested interests, whether emotional or financial. I know of no other public health policy where the truth is so often silenced by lame responses such as “ We can’t say that, it will upset people.” Any attempt to improve health and save lives risks upsetting narcissists and vested interests, now uniting in efforts to bully breastfeeding advocates into silence. For a senior FDA scientist to say, as one did to me, “We have to reassure parents that formula is safe, because American society depends on bottle feeding” indicates just how widespread and powerful are such vested interests, and how big the task of societal change. to protect promote and support early and exclusive breastfeeding from birth to around six months, as the necessary basis for a healthy start to life. And my writing has included discussion of the societal and structural obstacles to a society that enables, not merely urges, breastfeeding. Others will no doubt focus on those structural issues in submissions about the National Breastfeeding Strategy. In this submission I will confine myself to matters relating to artificial feeding. That belief in formula safety and adequacy is the myth that must be destroyed for politicians and regulators to be willing to make the structural and societal changes that will be needed – like appropriate paid maternity leave and job protection policies – before breastfeeding can become once again the human norm for infant feeding. Of course infant formula is adequate to grow children who at a glance do not seem any different from their breastfed peers. Human omnivore capacity has allowed infants to survive and grow on very differently defective diets over the centuries. But at some cost. In the decades since 1980, scientific tools have developed which can measure the separate detrimental biological impacts of both the absence of breastfeeding or breastmilk, and the presence of artificial feeding/infant formula in early child life. 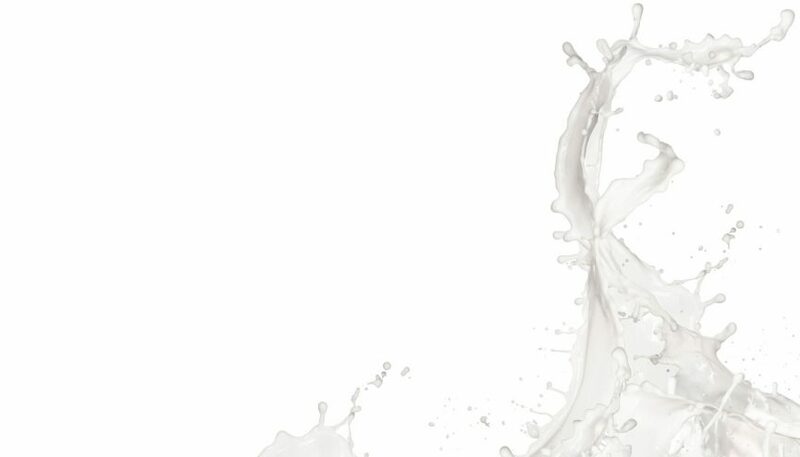 Many of those effects are heritable and thus intergenerational, and it is my contention that a Milk Hypothesis of compounding intergenerational immune damage and developmental disorder better explains typically western patterns of inflammatory disease than do more generally accepted hygiene or biodiversity or antibiotic hypotheses – all of which can be subsumed into and support the milk hypothesis. The biological mechanisms for those separate detrimental impacts due to both absence and presence are being elucidated. Anyone reading this submission should be aware by now of the intractable differences between breastfed and not breastfed infants in microbiomes, in hormone levels, in immune factors, in any and all of the governing mechanisms of infant development and lifelong health. All not-breastfed infants are significantly or subtly different from what they would have been if breastfed. the inevitability of microbial contamination of formula/drink powders. When buying any important product, parents need to be able to make informed choices. Formula guidelines are so wide as to allow significant differences in amounts of multiple interactive ingredients: calculating the mathematical possibilities for variation is simply not possible. Yet parents not only can’t find any comparative outcome studies by brand to guide their choice of infant formula; most remain blissfully unaware of these basic truths about the product they assume to be safe enough to feed their beloved children. And most health professionals frankly know too little about the types of formula, much less the brands and the differences between them, to offer parents any useful information. differences in adipose tissue deposition , bone development….the research is just beginning. Who tells parents any of that? And there is a long list of diseases and conditions that are more common or more severe in infants not breastfed, from diarrhoeal disease to diabetes. The list of harms for some women who do not breastfeed is equally confronting. In fact, in all of the current epidemics of NCDs, so-called non-communicable diseases, there is evidence which suggests that these are being vertically communicated, and there is evidence for the involvement of early artificial feeding. WHAT ACTIONS MIGHT REDUCE FORMULA USE? Australia could implement in full the many international initiatives it has largely neglected, such as the Innocenti Declaration, BFHI, International Code of Marketing of Breastmilk Substitutes, and so on, all of which emphasize many relevant aspects that remain largely unsupported in this country at any national level. Even using the langauge of Infant aand Young child Feeding would be to connect to important global developments often overlooked. Three key areas for action are education, truth in advertising, and practical modelling of the importance of breastfeeding or breastmilk feeding and the fallibility of current infant formulas. online materials for parents should be scrupulously vetted for their equation of breastmilk and infant formula, breastfeeding and bottle feeding. Any such inferences or unthinking equation should be replaced by truthful language. The Raising Children website materials are inadequate and need detailed revision: eg, they seem unaware of microbes in formula other than those added by parents. At present they read as if written by industry dietitians. I would be happy to discuss this point further with relevant personnel. In general, false and misleading advertising in this important field should be subject to the heavy penalties for false and misleading advertising in any other area, and prosecutions should be undertaken in the usual way. In my view, the voluntary self-regulation experiment I helped create in 1992 has clearly failed since the mid-to-late 1990s. The current MAIF system acts to shield companies from normal legal constraints, while some companies ignore it altogether without penalty. Commitment to observance of the International Code as interpreted through World Health Assembly resolutions and clarifications could and should become a minimum requirement for marketing and distribution of infant formula within and export from Australia. Clear distinctions between the labels of actual infant formula products (ie, meeting the Australian Infant Formula Standard as complete foods) and other incomplete milk-based drinks for children such as Follow Ons; no numerical cross-branding. Warnings on can labels such as were used on US puppy formulas: with the ‘important statement’ reworded to discourage formula use, not discourage breastfeeding as at present. A statement that infant formula powder cannot be sterile should be mandatory, together with clearer advice about the care needed to store cans before and after opening. Insistence on truthful labelling with severe penalties for false and misleading claims directly or by inference. No reference to immunity, eye or brain development should be permitted. “Suitable from birth” should be revised to wording that does not convey official endorsement as suitable, when no formula is suitable for all “For use age 0-12 months” conveys no government endorsement. reducing PBS subsidies on specialised infant formula to high-income families to the amount over and above the cost of regular infant formula paid by low-income families, and providing all prescribing doctors with online education about the importance of maintaining lactation and assisting with maternal diet change in food-sensitive families. requiring all taxpayer-funded research into ongoing disease to include as far as possible enquiries into the infant feeding and allergy history of patients and a matched control group. maintaining an independent website where parents can report possible problems with infant formulas purchased in Australia, or Australian made formulas purchased overseas. These are simply some of many suggestions that could make a difference to community perceptions of women’s milk and infant formulas, and so create political will to drive structural changes that would enable women to breastfeed. Urging women to breastfeed in an environment where they will fail has contributed to our current declining rates and increasing antipathy to breastfeeding. Clearly there is also a need for the whole healthcare system to provide the clinical support that is taken for granted when any other bodily organ malfunctions, or is proving inadequate to its normal biological task. Prosthetics and replacement parts are generally seen as an expensive last resort, clearly inferior to a normally functioning body part. So too should infant formula be seen: as a last resort, and clearly inferior to the real thing, women’s milk. Anyone on the Taskforce who does not agree with that sentence needs to read Infant Formula and Modern Epidemics, or the whole of Milk Matters: infant formula and immune disorder. Founding member and office bearer of ILCA and ALCA and adviser to IBLCE and WHO Geneva; UNICEF NY appointed BFHI Lead Assessor for Nigeria and originator of BFHI in Australia; educator of thousands of health professionals in Australia and overseas; pro bono consultant to hundreds of families with feeding issues since 1976. Author, Food for Thought: a Parent’s Guide to Food Intolerance (1982-1992 Australian, UK and Japanese editions); Breastfeeding Matters: what we need to know about infant feeding (1985-1998 editions); Milk Matters: Infant Feeding and Immune Disorder (2015) also available as two e-books: Infant Formula and Modern Epidemics: the Milk Hypothesis; Crying Babies and Food in the Early Years. I can’t imagine a policy of not telling parents how to protect their babies from preventable diseases by vaccination, or from brain damage from being shaken, because parents whose babies had suffered such harms might feel guilty. Yet this is often the reason given for not telling the truth about infant feeding. My book, Food for Thought : a parent’s guide to food intolerance (Alma Publications 1982) was the first Australian book to discuss the rise of food intolerances from the 1970s onwards. The only way in which they are ‘all the same’ is that their recipes fit within the wide standards written around existing formulas and needing constant revision. Lucas A , Zlotkin S. Infant Nutrition. (Health Press Oxford 2003,)p. 50.
 all discussed and fully referenced in Milk Matters. eg, “Most infant formula is made from cow’s milk that has been modified to be as much like breastmilk as possible, so that it suits your baby’s nutritional needs. But it’s not the same as cow’s milk.” The last statement is true. But why not say that “It’s not the same as breastmilk, nor is that ever possible.” And all formula today is NOT “as close as possible” to breastmik – some is closer, some is further away. Inappropriate reassurance supporting formula here and this ius the sort of langauge that communicates to parents that formula is just as good.